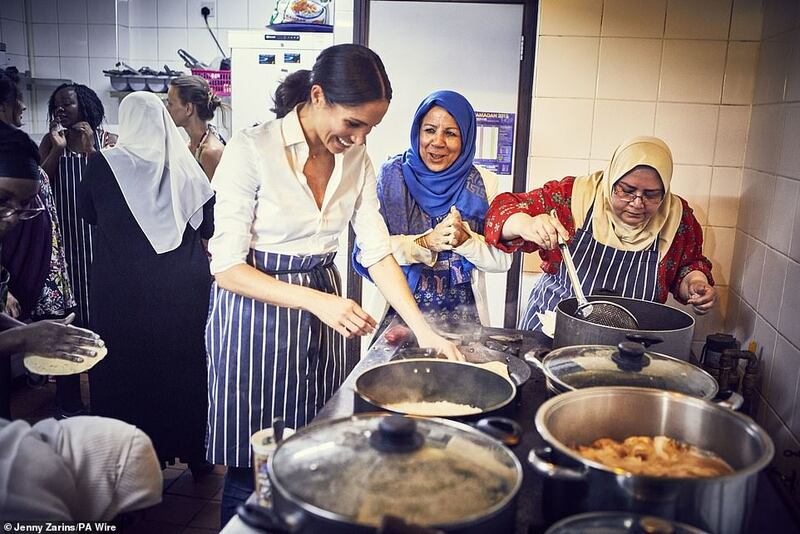 The Duchess of Sussex’s first solo project as a member of the royal family has been announced – supporting the publication of a community cookbook helping Grenfell families and others. 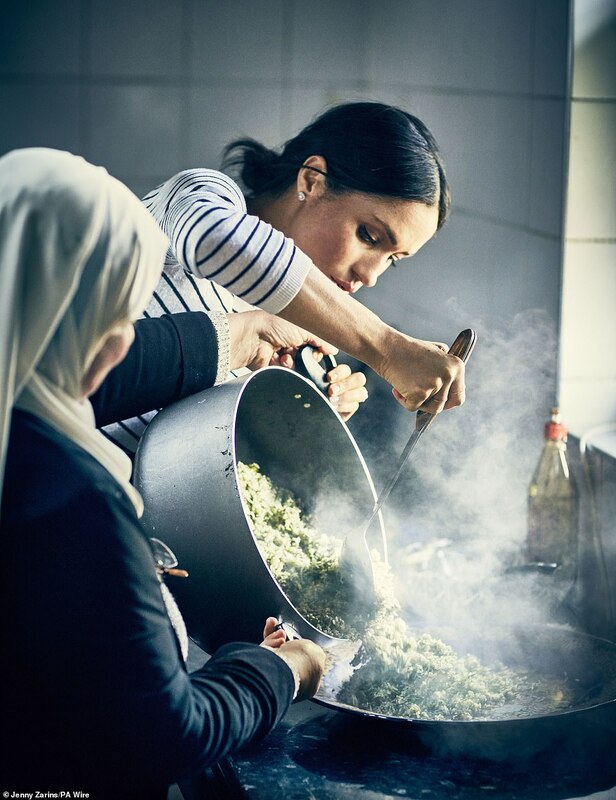 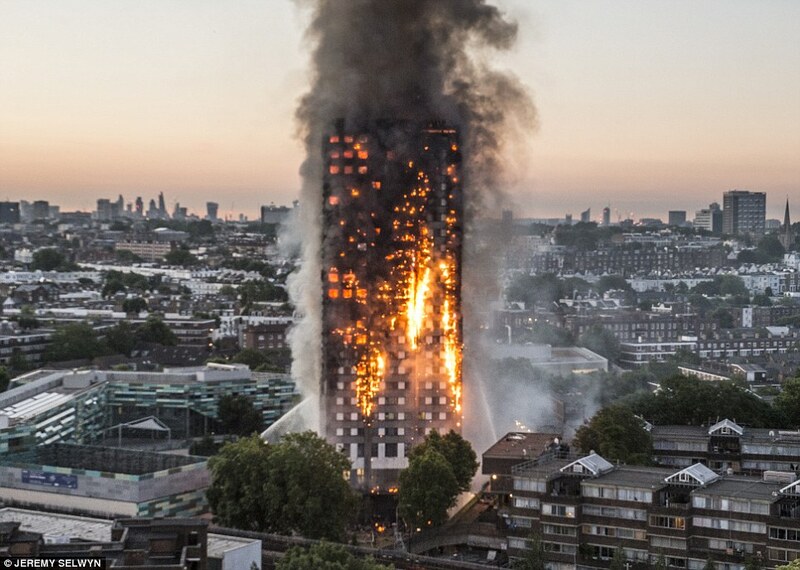 Meghan Markle has written the foreword to the new book produced by cooks from the Hubb Community Kitchen, an initiative based near the site of Grenfell Tower in West London. 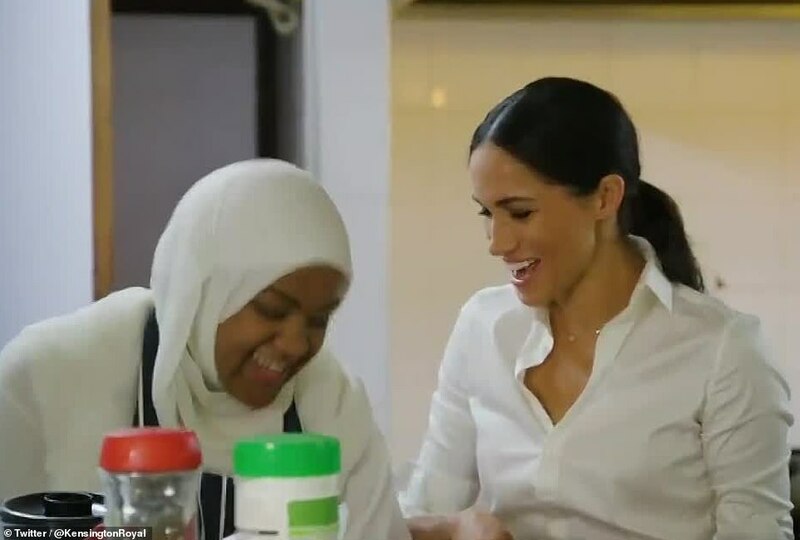 The duchess first visited the kitchen in January and has made other private trips to the centre to meet volunteers and learn more about their work. 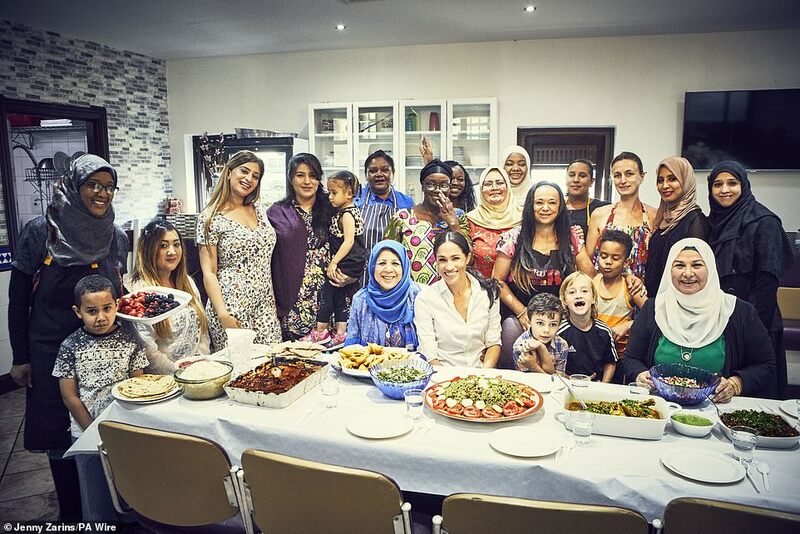 The duchess says in her introduction for Together: Our Community Cookbook: ‘I immediately felt connected to this community kitchen; it is a place for women to laugh, grieve, cry and cook together. 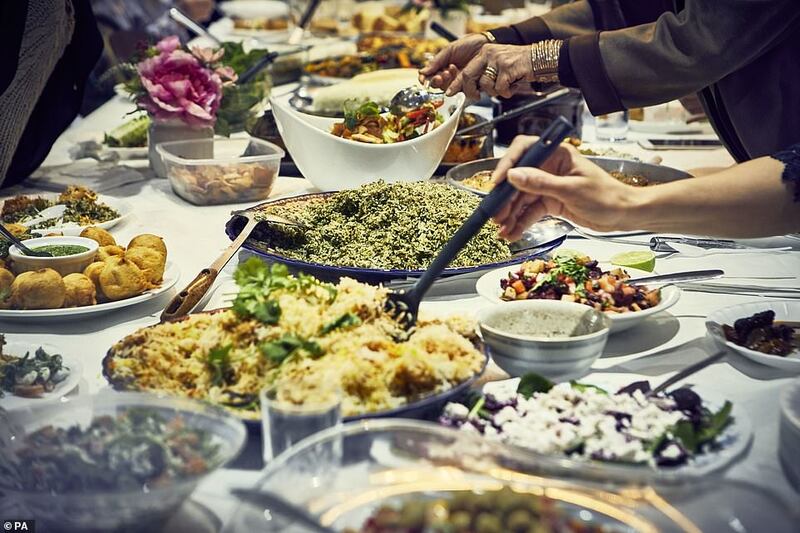 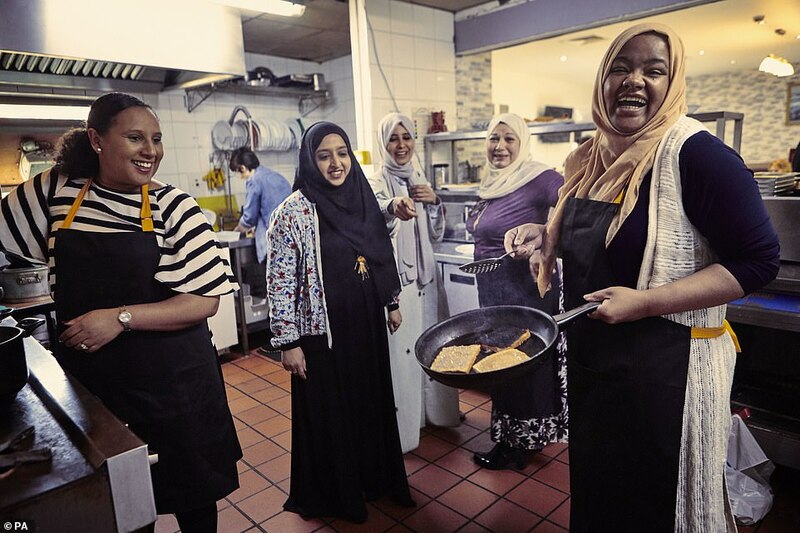 In the introduction, the women of the Hubb Community Kitchen wrote: ‘Our kitchen has always been a place of good food, love, support and friendship. 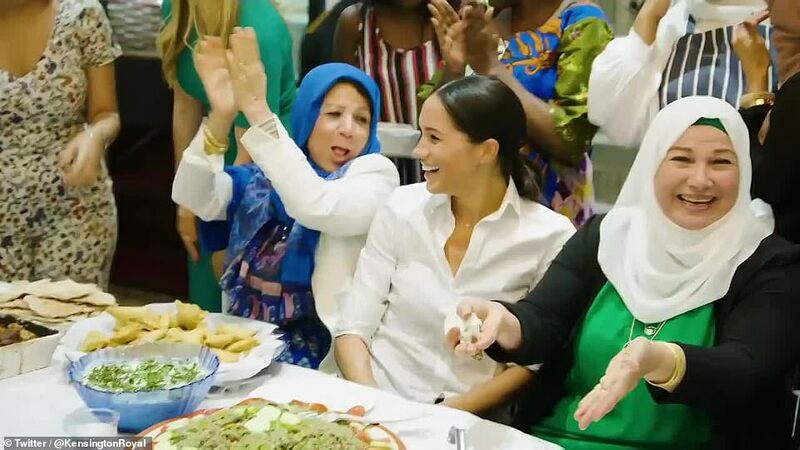 Meghan helped put the group in touch with a publisher and her Royal Foundation provided assistance with legal and administrative issues. 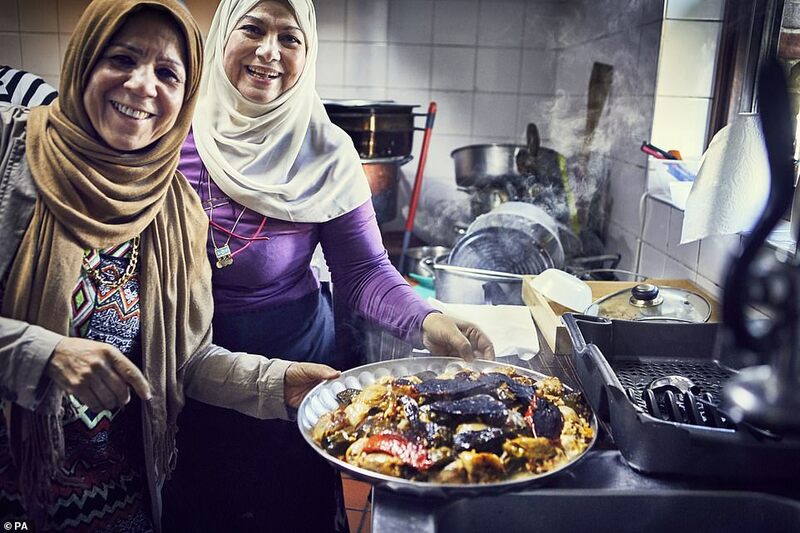 All proceeds will go back to the Hubb and the book will be available this week.